. :: KHALED AL EID & ABDULLAH AL SHARBATLY: QUESTIONS RAISED REGARDING THE CAS AWARD IN THEIR APPEAL ::. 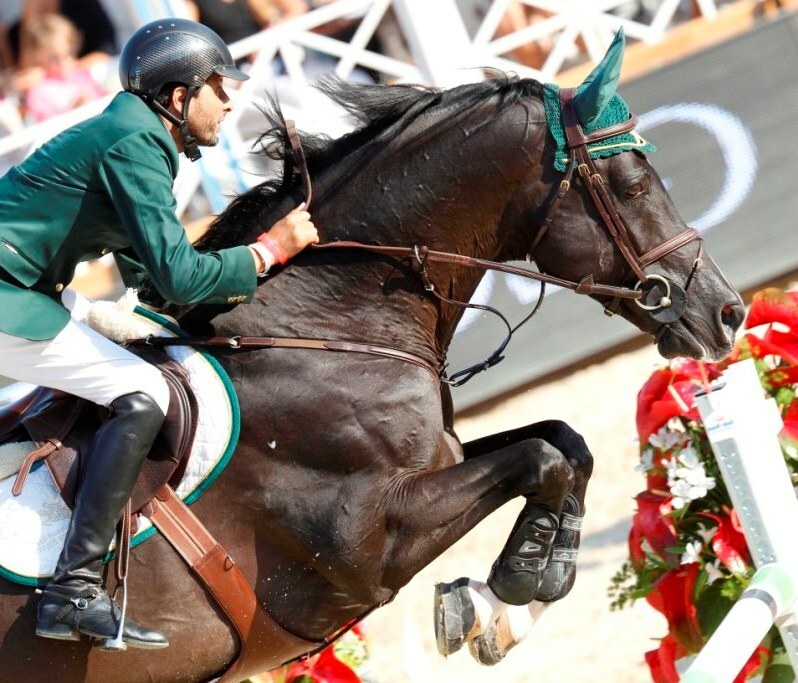 MUCH HAS BEEN SAID AND PUBLISHED ABOUT THE 17 JULY DECISION OF THE COURT OF ARBITRATION FOR SPORT (CAS) IN THE JOINT APPEAL OF SAUDI EQUESTRIAN RIDERS KHALED AL EID AND ABDULLAH AL SHARBATLY REDUCING THEIR FEI TRIBUNAL SUSPENSIONS FROM EIGHT MONTHS TO TWO. MOST OF THE COMMENTS OPENLY QUESTION THE MOTIVATION, RATIONALE, TIMING, AND CONCLUSIONS OF THE CAS, ONE PROMINENT RIDER CALLING THE DECISION “FRANKLY BIZARRE”. HORSE TIMES DECIDED TO LOOK INTO THE MATTER AND TRY TO ADDRESS THE FACTS AND SOME OF THE INFERENCES AND IMPLICATIONS RAISED IN THIS CASE. According to the facts as stated in the award, in December 2011 following the Riyadh CSI 3* event, routine medical tests were performed on the competition horses of Al Eid and in an initial test and subsequent independent test Phenylbutazone and Oxyphenbutazone (collectively referred to here as “Bute”) were found in his competition horse. In February 2012 following the Al Ain CSI 3* event, Sharbatly’s horse was tested and likewise Bute was found both in the initial and subsequent medical tests. On 23 May 2012, the FEI Tribunal found that the riders had violated the FEI Equine Controlled Medication (“ECM”) Rules and suspended them for eight months. On 24 May 2012, the riders filed appeals at the CAS against this ruling. According to the CAS, at the request of the riders and with the consent of the FEI, the two appeals were referred to the same sole arbitrator and were conducted together on an expedited basis. A hearing was held in London on 7 June 2012. Al Eid and Sharbatly did not dispute the medical findings but Al Eid defended that he did not know how the substance was administered to his horse, speculating that it might have been already present in the bedding or feed buckets at the stable. Sharbatly defended that he likewise did not know how the substance was present, but that this might have been sabotage or contamination. Expert witnesses gave evidence for Al Eid and Sharbatly speculating that inadvertent administration of the drugs was theoretically possible. The CAS found that knowledge or ignorance of the administration of the controlled substance is irrelevant. Under the ECM Rules a “Person Responsible” (defined in the ECM Rules as including “an Athlete who rides a Horse at an Event”, each of which terms are also defined in the Rules) is strictly liable for the consequences of the administration of the specified controlled medications, unless he can prove both his innocence and how the drug was administered to the horse. As the CAS was not convinced that this burden of proof had been met, it rejected the arguments of Al Eid and Sharbatly and upheld the FEI Tribunal’s findings of liability. However, the CAS did find that the FEI Tribunal erred in imposing an excessive ineligibility period, in view of the facts in the cases and mitigating factors, including the low level of Bute detected (Phenylbutazone at about 340ng/ml, and Oxyphenbutazone at approximately 65ng/ml, according to expert witnesses an amount insufficient to for either therapeutic or performance-enhancing purposes), the absence of harm to the horses, consistent professionalism and veterinary support of the Saudi Equestrian team, the submission to immediate voluntary ineligibility and cooperation with the FEI, the acceptance of the FEI medical findings, and the impact on the athletes in view of the upcoming Olympics. In addition, the CAS found that the FEI Tribunal had used evaluation criteria applicable to penalisation of anti-doping violations, rather than those applicable to the ECM violations charged here. The Court had stressed at the outset that this is a case of violation of the FEI ECM Rules and not the FEI Equine Anti-Doping (EAD) Rules and that, although these rules are related, they are different and seek to prevent different risks and harms. As a result, while the CAS upheld the finding of the FEI Tribunal as to liability, it reduced the ineligibility penalty imposed by the FEI Tribunal from eight months to two months. Because Al Eid’s ineligibility commenced on 24 February 2012 and Sharbatly’s on 10 February 2012, in both cases the ineligibility periods ended in April 2012. *CAS DOES NOT TYPICALLY MODIFY FEI TRIBUNAL DECISIONS, IT EITHER AFFIRMS OR ANNULS THEM. CAN THEY DO THIS? *WHY WAS THERE ONLY ONE ARBITRATOR APPOINTED INSTEAD OF THREE? According to CAS, the riders and the FEI agreed on one sole arbitrator and according to the CAS Code Article R50 if the parties agree, as they did in this case, then only one arbitrator will be appointed. *DID THE FEI IMPOSE A FOUR MONTH OR EIGHT MONTH PERIOD OF INELIGIBILITY? Yes, there is a bit of confusion. Actually, while the riders proposed a two month suspension penalty, the FEI asked for a four month suspension, but the FEI Tribunal on its own imposed an eight month suspension. Indeed, the FEI in the case before the CAS stated that a four month ban is “severe” for a Bute violation. It is interesting to note that even if the FEI-recommended four month ban had been imposed, Sharbatly would have still been able to go to the Olympics. *BUT WEREN’T EIGHT MONTH SUSPENSIONS IMPOSED IN THE TIBURON AND CAMEO RENAZAR CASES UNDER SIMILAR CIRCUMSTANCES? The cases aren’t comparable, they’re not even close. In the Tiburon case the Person Responsible admitted giving the horse Bute and Flunixin for colic a few days before competition and said he didn’t know it would last that long. In Cameo Renazar the Person Responsible gave the horse a Bute paste before an event and according to the FEI Tribunal in that case he “has shown very little knowledge of the rules of the FEI, and shows even less signs of a determination to achieve regulatory compliance in the future.”In both cases eight month suspensions were imposed. *AND EVEN IF IT HAD BEEN FOUR MONTHS, SHOULDN’T IT HAVE RUN FROM THE DATE OF THE TRIBUNAL’S DECISION? Not in this case because the riders accepted voluntary suspension under the rules. The FEI ECM Rules provide that any period of Provisional Suspension (whether imposed or voluntarily accepted) will be credited against the total period of Ineligibility imposed. *THE RIDERS’ SELF-SUSPENSION IN FEBRUARY FOLLOWING THE RESULTS OF THE TESTS STILL SEEMS FISHY, IT WASN’T IMPOSED ON THEM; SO HOW HAS THAT FACT BEEN ACCEPTED AND INTERPRETED BY THE FEI? The FEI Tribunal itself found that, in accordance with Article 10.8.4 of the ECM Rules, the riders may receive a credit for the period of Provisional Suspension voluntarily elected. In addition, with regard to the timing of the period of ineligibility, the FEI stated to the FEI Tribunal that it had no objection to the periods starting on 10 and 28 February 2012, respectively, the dates of voluntary suspension. *CAS MOVED AWFULLY QUICKLY TO CONCLUDE THESE CASES, HOW DID THIS HAPPEN WHEN OTHER RIDERS HAVE HAD TO WAIT LENGTHY PERIODS OF TIME FOR FINAL RESOLUTION? The riders and the FEI agreed on an expedited process and the rules allow that. On 24 May 2012, in accordance with Article 12 of the ECM Rules and Articles R47 and R48 of the CAS Code, the riders each filed appeals from the decisions of the FEI Tribunal. And pursuant to Article R52 of the Code, CAS, with the agreement of the parties, proceeded in an expedited manner. *CAS SHOULDN’T HAVE TAKEN THE TIMING OF THE OLYMPICS INTO CONSIDERATION, SHOULD THEY? We think that this question goes to the very heart of the inferences and implications raised in the show jumping community and the media about these cases. Was it an improper exercise of power for the arbitrator to take the looming Olympics and the career-stunting effect of the suspensions on the riders into consideration? Much of what has been said and published seems to have been said and written following the CAS decision announced on 11 June 2012 but before the issuance of the written arbitral award on 17 July, which details the Court’s reasoning and decision. Now that people have had the chance to read the CAS’ full rationale, summarised here, many of the questions raised about these cases can now be laid to rest. Bridget McArdle McKinney is an international lawyer, former Managing Partner of SNR Denton’s Cairo office and a contributor to HORSE TIMES.